Here we will answer some of the more frequently asked questions that are not answered or addressed elsewhere on our web site. Q. Is the Order of the Most Holy Mary Theotokos an Order or Community? A. As an Institute of Consecrated Life, the Order of the Most Holy Mary Theotokos is actually a hybrid, taking the best from both "Orders" and "Communities". A religious order is an organization of people who live in some way set apart from society in accordance with their specific religious devotion, usually characterized by the principles of its founder's religious practice. A religious community is an organization recognised by the Church whose members (commonly referred to as "religious") strive to achieve a common purpose through formally dedicating their life to God. Q. Are not all people called to a religious life? A. Yes, all people are called to a religious life, that is, to respond in faith to God who created and sustains them. Some receive a calling from God to join a group of people who commit themselves to a special way of life, a life that witnesses strongly to God's love. The people who respond to this call have the same needs, hopes, desires, and struggles of all humans. This special way of life is called Religious or Consecrated Life, and the groups who live it are called Religious Communities (or Congregations or Orders). Q. What can I do as a Religious that I am not already doing as a Baptized Christian? A. It is a very meaningful, peaceful, and joyful way of life for those who accept it wholeheartedly. Indeed, it is living at the heart of life. There have been Religious Communities in the Church almost since its beginning. There are many today. These Congregations have different spiritualities and different work or ministries on which they focus their efforts. Yet they are the same in that their way of life -- Religious Life -- focuses on what matters most, God's all-embracing love. In order to free themselves for this lifestyle, they dedicate their lives and work more fully to God and his people. Those who choose Religious Life join a community whose members form an extended family. They work together for the sake of God and -- through the strength and support of the group -- are able to take on various challenging tasks. They are able to be on the front line, witnessing to God's love for all and responding to both new and persistent challenges, especially mindful of those on the margins of society. Q. ﻿What is your Rule of Life? A. ﻿Professed members of the Order of the Most Holy Mary Theotokos intend to love and serve God through a relationaship with Jesus Christ and the Blessed Virgin Mary, adapting to their lives the Benedictine principles, values, and disciplines to which we base our common life. Few saints have left such a palpable impact on the world as St. Benedict, the monk whose Rule set the standard for Western monastic tradition. His balance of work and prayer, his validation of community life, and his regulation of monastic discipline set the pattern for religious for centuries. As Benedictines of Mary, our Monks profess the three monastic vows of obedience, stability, and conversion. For more information on the O.SS.T. Holy Rule of Life, see Article VII of The Rule, Charter, Constitution, and Code of Canon Law by clicking here. Q. Is the Order of the Most Holy Mary Theotokos an "Internet Religious Order"? A. The answer is no. O.SS.T. is an international religious community open to members located across the world. The Internet is a valuable resource in means of communication, reaching out to people in a non confrontational format, and bridging a gap that may be thousands of miles long, in a second. Q. Is the Order of the Most Holy Mary Theotokos State incorporated and/or does it hold 501 (c) (3) tax exempt staus with the IRS? A. No. The founders and architects of the Order of the Most Holy Mary Theotokos labored for the freedom to be ruled by God. This means that Jesus Christ alone is head of the Church and Lord of the conscience. Section 508(c)(1)(A) states that “churches, their integrated auxiliaries, and conventions or associations of churches” are a mandatory exception to section 501(c)(3), they are already tax exempt without notifying or applying to the government under section 501(c)(3). Churches receive the same tax exempt status and benefits as a 501(c)(3) organization, without the partnership with the government. Churches are automatically tax exempt under 508(c)(1)(A) [Free Churches] versus the government controlled churches 501(c)(3) [State Churches]. A word about incorporation and IRS status. In essence, a corporation is not a church and cannot be a church by definition. A corporation admits to State jurisdiction by the very act of requesting to exist. The State “creates” the corporation. Additionally, the IRS grants the church a 501 (c) (3) tax exempt status, which under law it already has. In other words, the minister becomes, by default, the officer of the State. We do not desire to become a commercial enterprise. Rather, we wish to remain a "Free Church". Therefore, a conscious decision has been made for O.SS.T. to remain free of all government association either by incorporation or through IRS status. This assures our own freedom and the autonomy of all ministries and ministers through the guarantees of the US Constitution. Q. Why a Marian Order? A. In today's world, finding positive role models can be very difficult. But there is one enduring example of faith, hope, and love that people often overlook - Mary. Her love and respect for all people can guide us, and her relationship with Jesus can unlock the door to true virtue and a closer relationship with Christ. Q. As a Marian Order, do you worship Mary? A. The answer is no. Veneration of the saints, including Mary, is not worship. We worship God alone. To worship someone is to acknowledge that the one who is worshiped is divine, is God. Sometimes we can confuse cultural gestures of reverence for gestures of worship. In doing so, we often judge not as God does, by what is in the heart, but rather by appearances (see Jn 8:15, Is 11:3). We hold saints in esteem because they are such wonderful images or mirrors of Christ. Paul several times exhorts his readers to be imitators of him: "Be imitators of me, as I am of Christ" (1 Cor 11:1, also Phil 3:17, 1 Cor 4:16). Mary is the first saint, and holds high honor today, as she did in the early Church. Over the course of history, devotion to Mary has taken many forms, and even has been confused with worship. Church teaching has consistently placed Mary in the company of the saints, however. Devotion to the saints comes back to the theology of image: Christ is God's image; the saints are Christ's image. We honor them because we desire to imitate them. We pray to them the same as we call upon earthly friends to do a favor for us. This too, is scriptural. In Acts we read of Peter and John going up to the Temple for prayer and encountering a beggar. Peter says to him, "I have neither silver nor gold, but what I do have I give you: in the name of Jesus Christ the Nazorean, rise and walk" (Acts 3:6). Peter makes it clear that he has the power of Christ in his possession. To be sure, it is Jesus who heals, but Peter holds the right to extend that power. The same can be said of Paul. In Acts 19:11-12 we read, "So extraordinary were the mighty deeds God accomplished at the hands of Paul that when face cloths or aprons that touched his skin were applied to the sick, their diseases left them and the evil spirits came out of them." These texts are the basis of the Catholic practice of asking saints to help us, of honoring (not worshiping) the saints. Q. As a religious order rooted in the tradition and theology of Old Catholic heritage, how do you reconcile your beliefs with the following statement from the Declaration of the Union of Utrecht (1889)? Q. What vocation possibilities are available with the Order of the Most Holy Mary Theotokos? A. One may become a vowed First Order Monk or a Third Order Associate. Q. How are these vocations different and the same? A. Basically, the two vocations in the Order of the Most Holy Mary Theotokos are reflections of the different movement of the Holy Spirit in the hearts of those called to this community. All are members of the family and are considered to be an integral part of the community but, like the Body of Christ, of which we are a microcosm, each person has a different function. As Benedictines, Monks profess the three monastic vows set forth by St. Benedict in his Rule - obedience, stability, and conversion; while endeavoring to observe the Holy Gospel of our Lord Jesus Christ in accordance with the Order's Holy Rule of Life. Monks also entail the Marian Vow of unlimited consecration to Jesus through Mary, whether they live in the world or choose to lead the contemporary Eremitic Life. Associates are an integral part of the religious life of the Order and play an important role in that life. They have associated themselves with the Order and wish to participate in some way in the spiritual life of the community in order to enrich their Christian way of life. Associates shape their lives and seek God by striving to become holy in their chosen way of life. All these people incorporate the elements of study, prayer and work, so critical to the Religious way of life into their own lives. Q. You say that the Order of the Most Holy Mary Theotokos is an independent jurisdiction in the tradition of the Old Catholic Church. What does that mean? A. Monastic practices and structures in the early Church were very different from what they are today where considerable divergences have developed in practice and organization. In the early Church, monasteries played a much more important role with abbots regarded as de facto leaders of the Church. Maintaining simplicity, we are neither institutionalized nor bureaucratic. Given our monastic orientation, we appreciate God through the eyes of the early Church rather than an institutional church. As such, we are an independent autocephalous Catholic jurisdiction of the One Holy Catholic and Apostolic Church. Q. Does the Order of the Most Holy Mary Theotokos offer ordination and/or incardination to Holy Orders? A. Yes. Religious vows are to be distinguished from Holy Orders, the sacrament which bishops, priests, and deacons receive. Hence members of religious orders are not part of the hierarchy, unless they are also ordained priests or deacons (sometimes referred to as "priest-monks"). O.S.S.T. is pleased to offer ordination / incardination to qualified candidates. The Order of the Most Holy Mary Theotokos provides a context for those called to and interested in realizing their participation in the ministerial priesthood of Christ. An aspirant for Holy Orders must choose to become a First Order (Ascetic) Monk. For more information, visit Ordination/Incardination. Q. How many times a day are members of the Order of the Most Holy Mary Theotokos required to pray? A. All Brothers and Sisters are expected to maintain the ancient practice of praying the Liturgy of the Hours and shall pray the Morning, Evening, and Night Prayers each day. Associates are encouraged to follow the example of their Community. Q. Does the Order of the Most Holy Mary Theotokos have a Spiritual Formation Program? A. Yes, recognizing that we are a "monastery without walls", the formation program is challenging but sensitive to the demands of a contemporary religious life lived outside of cloister. The formation program is designed and tailored according to each individual's circumstance, i.e., life experience, previous religious training, educational background, etc. Q. Why is a formal Spiritual Formation Program required by O.SS.T.? A. The answer is articulated well in a statement taken from the Minute Meditations Inbox Edition (Franciscan Media). Q. I understand that members of the Order of the Most Holy Mary Theotokos have "no boundaries." What does this mean? A. When Christian monasticism first developed in the 3rd century after Jesus' death and resurrection, it was a life of solitude and intense asceticism. Monks and nuns were encouraged to remain in their cells so that their cells could teach them all that they needed to know. This was especially helpful to those who were facing their interior weakness for the first time and this idea of keeping to the cell developed over time into the idea of the cloister: a place where one entered and did not leave without good reason and permission from the Superior. This lifestyle certainly encourages stability of a particular sort but, even in the most cloistered monastery, there are still comings and goings and guests to be welcomed. The Order of the Most Holy Mary Theotokos believes that we must look deeper for that which provides stability; we must look to the Lord our God. It is only from God that true stability can proceed and so the Monk or Associate carries the monastery with him or her, in a heart that overflows with love for the Almighty and an intense desire for Union with the Beloved who calls to us. Therefore, while members of this Community have a physical spiritual home in Our Lady of Peace Abbey (the official residence of the Presiding Archbishop-Abbot), as well as their own "urban abbeys"; their monastery is carried in their hearts and minds and has no boundaries. Q. Our members are often asked, "What do you do? Teach? Care for the sick? Minister to the elderly and shut-ins? Conduct Retreats? Organize youth groups? A. To all of these questions we answer "Yes!" God created each one of us with a unique combination of talents and abilities and our Religious devote the full range of their abilities, interests, and personal experiences to the mission efforts of the Church. The Order of the Most Holy Mary Theotokos believes that holiness is not an end in itself, but rather is the natural effect of accepting our Lord and His numerous blessings while sharing these with the Community. We, therefore, embrace our vows, promises, and commitments to our Holy Rule of Life as we embrace all things in this world that they may aid us in praising and serving God and his people. The vows of our Monks and the promises and the commitments of our Associates, are expressions of our openness to his Will rather than regulations to keep us from certain things. Q. Do I have to be a member of a particular jurisdiction or denomination to be a member of the Order of the Most Holy Mary Theotokos? A. No. The Order of the Most Holy Mary Theotokos is an Independent/Autocephalous Catholic ecumenical religious order. We are a faith-filled family of believers integrating the fundamental principles of contemplative spirituality into our modern lives. A religious community comprised of men and women of all ages, married and single, clergy and laity, living and working in the world. Like the many different threads, which come together to form a magnificent tapestry, our religious order, while Catholic in the fullest sense, welcomes people from diverse liturgical, theological, denominational and jurisdictional affiliations, as well as cultural backgrounds and ages. Any baptized Christian whose faith and ministry perspective is truly both ecumenical (accepting of all who claim the Holy Name of Christ) and Catholic (universal) may make application to join. Q. How does the Community stay in contact when apart? A. The Community is very proactive in this regard. Communication may occur by phone, fax, email, internet meeting or good old fashioned letter. The Order of the Most Holy Mary Theotokos does have its own "OSSTMembers" egroup where members share their lives of prayer and good works with one another through electronic association. Further, members are welcome to extend their association with other O.SS.T. members by participation in the spiritual activities of the Order's annual Synod/Retreat and General Chapter meeting. The Order of the Most Holy Mary Theotokos encourages each new applicant to have access to a computer. Q. How is the Community linked to the "Universal Church" or to the One Holy Catholic and Apostolic Church? A. The history of Religious Life and the early Church has been a troubled one indeed, especially during the late 1800s and early 1900s when Orders and Communities were being founded or reconstituted. From the Church's perspective, it was important that Religious communities fall under the discipline of Bishops and, thus the institution of the Church. From the communities' perspective, it was important that they remain autonomous, free to practice their God-given charism, without interference. It has only been in the last 30 years or so that such concerns have been mutually resolved. 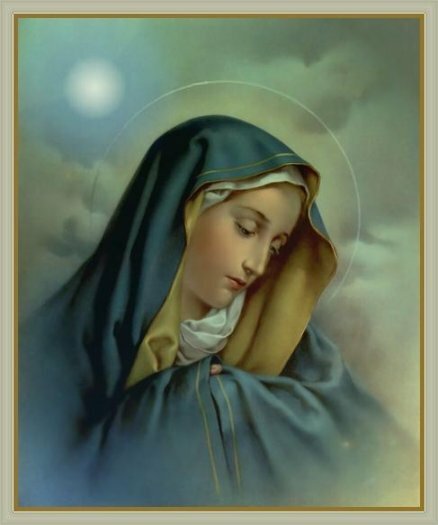 To address this issue, the Order of the Most Holy Mary Theotokos is linked to the One Holy Catholic and Apostolic Church through the Presiding Archbishop-Abbot's valid lines of Apostolic Succession. Likewise, each member is affiliated with the Order of the Most Holy Mary Theotokos as well as with his/her own denomination or jurisdiction if they so choose dual affiliation. In so doing, the Order of the Most Holy Mary Theotokos retains its own autonomy. The Order of the Most Holy Mary Theotokos is a community having attributes of both traditional Orders and Christian Communities. The Community honors the richness of its tradition, yet knows that each age needs to bring to its history and practice innovations. Becoming a member of the Order of the Most Holy Mary Theotokos is about making choices, about living a life that is deliberate, considered, and deeply spiritual. The Community is about prayer, lectio divina, contemplation, and study. More important to us, however, is the spiritual link that we have with the Church Universal. Religious have, for centuries, served as the "prayer engine" of the Church and, whenever the Church has worked in concert with Religious, miracles of conversion and growth have occurred. The entire Community prays each day for the whole Body of Christ in all its permutations. Q. What do I have to do to become a Professed Member of the Order of the Most Holy Mary Theotokos? A. 1) Request an application. Your application will be sent to you by email. 2) Live as a Postulant for six months following the Holy Rule of Life under the guidance of an O.SS.T. Spiritual Director (email correspondence). 3) After six months, petition to make your First Profession for one year as a Novice in the O.SS.T. 4) After one year, petition to make your Solemn Profession for life as a religious in the Order of the Most Holy Mary Theotokos. Q. I am not at this time seeking to commit to taking vows or making profession. Is there still a place for me in the Order of the Most Holy Mary Theotokos? A. Of course! We welcome, with open arms, all those who wish to affiliate themselves with the work and ministry of O.SS.T., whether they are seeking to take vows and make profression, or merely to join us as a Third Order Secular Associate. Experience the BIG difference our Small Order makes! We O.SS.T. Sisters, Brothers, and Priests are called by a loving God to live and share the Gospel of Jesus...as Ecumenical Catholic missionaries.